President Barack Obama is declaring that the defeat of the terrorists who attacked the U.S. on Sept. 11, 2001, is finally "within reach." 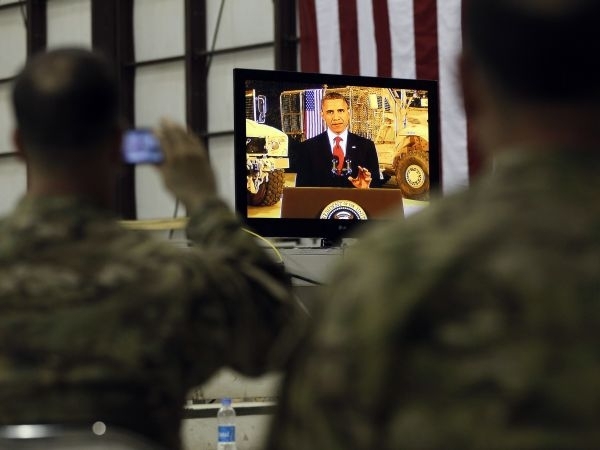 In an address to America from Afghanistan, Obama says the tide of the war and U.S. forces have "devastated" al-Qaida’s leadership. He singled out the U.S. troops that launched the operation one year ago that killed Osama bin Laden. Shortly after arriving in Afghanistan, Obama signed a joint agreement with Afghan President Hamid Karzai. The president says the deal outlines "a future in which the war ends." Obama’s speech – and his entire trip – were aimed at a domestic audience in an election year.